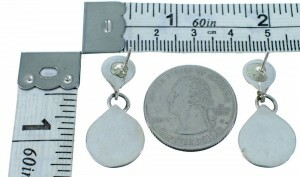 Post dangle earrings measure approximately 1-1/4" long and 1/2" wide. This is a very exquisite pair of earrings that must not be overlooked! This piece of Native American jewelry is Navajo hand crafted by artist Kim Yazzie, out of genuine sterling silver. 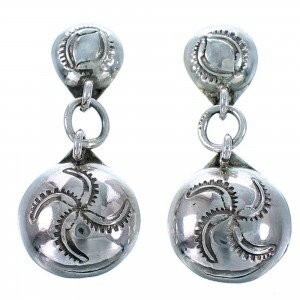 Gorgeous imprinted designs can be seen accenting throughout the earrings for a lovely finish.